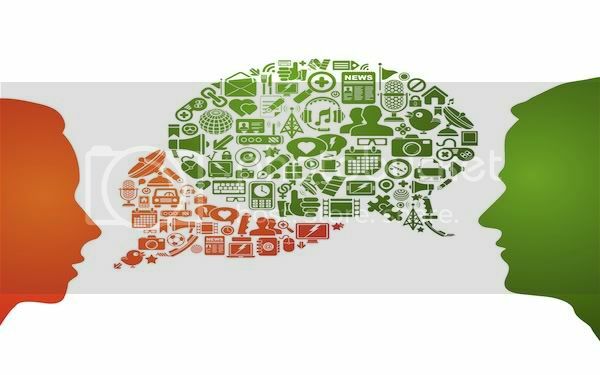 Web conversations: Are we still with us? Web conversations are changing. Ten years ago online identity was anonymous by default. In our current social era that is no longer true. The shift from anonymous avatars to personal profiles has radically altered the way individuals engage in web conversations. As users abandoned anonymity to don their real world identities online, companies clamoured to establish themselves amongst the new community and devoted huge resources to jostling for reputation within it. It’s now accepted as common practice that companies carefully monitor web conversations and listen to the opinions and complaints customers voice online. Left and right faulty phones are being replaced with complimentary upgrades and whole strategies are being altered based on user feedback. Individuals have become switched on to the fact their online shouts carry clout, and aware of their new influence, the customer is king once again. As individuals are becoming more aware of the potential audience for their online interactions, they’re also becoming increasingly concerned about the negative effects having a personal life viewable to all can bring. The consequences of this are creating yet another shift in the online identity of the individual. Feeling threatened, a trend is developing in which individuals retreat from the social sphere to re-emerge only as personas. Personas are facades which people project to the world in lieu of showing who they actually are. Personas post only well-composed pictures of themselves laughing and only check in to places that sound fun. Personas strive to make themselves seem more attractive through curation and exaggeration, they are careful not to post anything which may tarnish this carefully controlled image. Negativity is rarely judged an attractive quality, and is increasingly becoming part of a subconscious ‘don’t do’ list which promotes a social media mantra Edward Appleton recently termed “positivity or silence”. This prospect presents a grim visage to those organisations that have started relishing the huge quantities of freely available and hugely valuable customer feedback which they can scrape from web conversations on social networks. Light at the end of the web conversation. A social network is only as valuable as the user interactions which take place within in it and if the social network giants are to retain their value they must therefore carefully play a deep and difficult game of community management to stimy this transformation of individuals into personas. Users who have been convinced to shift from behind a mask of anonymity into an individualised social sphere must be reassured and made more comfortable if they’re to continue sharing genuinely and not slip away behind a disingenuous persona of positivity. Networks must thus take greater measures to harbour environments which promote openness and sharing between users so that they continue to produce the authentic opinions, both positive and negative, which can be of so much value to informing future strategy and product development for organisations. We want to know: How do you see the future of web conversations?